I think god has given us many things in life to carry out the humanitarian acts. Needy and poor people are watching us for help by way of education, healthcare, social activities, and many more. We should help and support others by way of humanitarian work like Being Human does in various fields. Being Human is the non-profit organization in India. It is a charitable trust which helps underprivileged children around India to get better education and healthcare facilities. 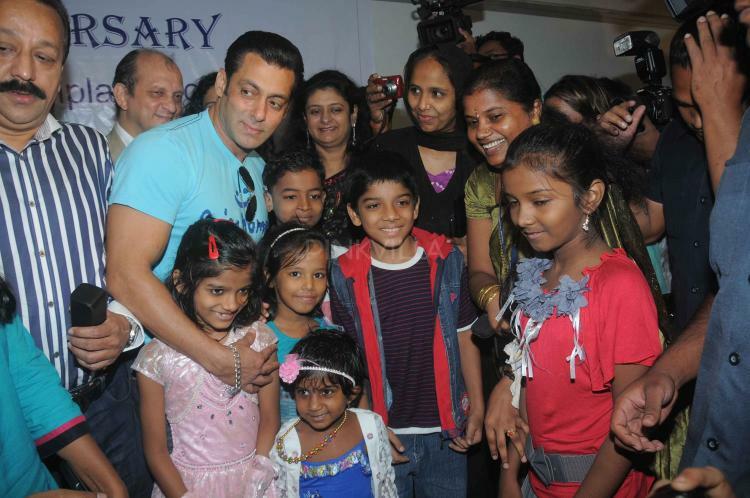 We all know Salman Khan is a man with a golden heart and never tires doing charitable work. So the charity loving Salman Khan launched his charity organisation called Being Human – Salman Khan Foundation in 2007 to support the underprivileged in India. In partnership with various companies, the foundation creates specific initiatives for education and healthcare. This group is for all Salman Khan fans and also Non Salman Khan who support his foundation Being Human. Some of the great humanitarian initiatives of Being Human foundation in the field of healthcare and education are mentioned below. Being Human partnered with Maaya Foundation to provide free treatment to children with severe facial deformities, also known as Craniofacial Deformities. These deformities are congenital and vary in type and severity. A child with craniofacial deformities has difficulty breathing, eating and with speech. In addition to this, the child faces social stigma. Through this program, they can able to reach out to children living with these deformities, across India. Maaya Foundation focuses exclusively in treating the most complex of skull and facial deformities. Skills required for treating these children are both rare and hard to acquire .It takes several years of training, hard work and commitment to acquire the highest levels of skills and techniques. This leads to immense emotional , but probably less financial satisfaction. Hence, great emphasis is placed in identifying and training surgeons and team members for the future. It’s really a great humanitarian work carried out by Being Human and Maaya Foundation! 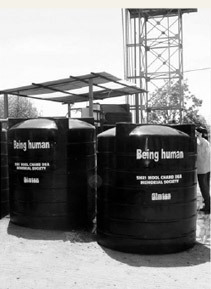 Being Human was involved in a drought relief initiative in Maharashtra in 2013. This was the worst drought the state of Maharashtra had experienced since 1972. With many people already affected and with cattle rendered hungry without fodder, this drought was the worst kind of natural disaster that the state had faced. Almost 1/5th of Maharashtra was reeling under drought. Water in tankers were being provided by the Maharashtra government but there was an urgent requirement of tanks, for the storage of water, across the districts of Beed, Osamanabad, Jalna, Aurangabad and Nanded - districts which were most affected in Maharashtra. Being Human–The Salman Khan Foundation procured 2500 tanks, each having a capacity of 2000 litres, and dispersed them across various villages in these 5 districts. Being Human has conducted free eye camps in Nanded, Mumbai, Patiala, Satara, Wai and Waje in order to treat preventable blindness through cataract surgeries. There are about 12 million cases of preventable blindness in India. As of March 2015, they have reached over 14,000 individuals and have conducted over 500 cataract surgeries, through the eye camps. Being Human partnered with Fortis Foundation in 2013 to provide free treatment to children with congenital heart defects. The Little Hearts Program was established with an aim to reach out to children below the poverty line who cannot afford the medical costs. Through this Program they conduct camps in remote areas that do not have any pediatric heart facilities such as Alwar, Bhagalpur, Leh and Kargil. As of March 2015, 775 surgeries have been performed through the Little Hearts Program. Excellent! In November 2010, Being Human partnered with MDRI to create awareness and generate voluntary donor profiles in order to create a world class stem cell registry in India. MDRI is the first NGO in India which maintains a computerized database of voluntary, unrelated stem cell donors and facilitates blood stem cell transplants for patients with life threatening blood diseases. 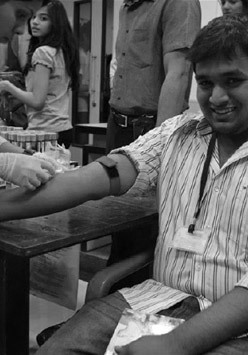 Together with MDRI, Being Human conducts donor registration camps across various colleges in Mumbai. At present, MDRI has 25,000 profiles. In March 2015, Being Human – The Salman Khan Foundation sent 30,000 woolen blankets to areas in Kashmir which were most affected by the floods that ravaged the state of Jammu and Kashmir the previous year and rendered thousands homeless. 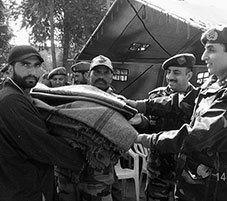 The blankets were distributed to areas in frontier districts of Baramula and Kupwara, Shopian, Ganderbal. Bandipur, Lolab Valley, Rajwar, Soyibug and Srinagar. The Max Foundation is a global health organization that believes that all people living with cancer have the right to access the best treatment and support. Through personalized access services, quality training and education, and global advocacy efforts, they aim to help people face cancer with dignity and hope. Being Human supports various communication initiatives undertaken by The Max Foundation. 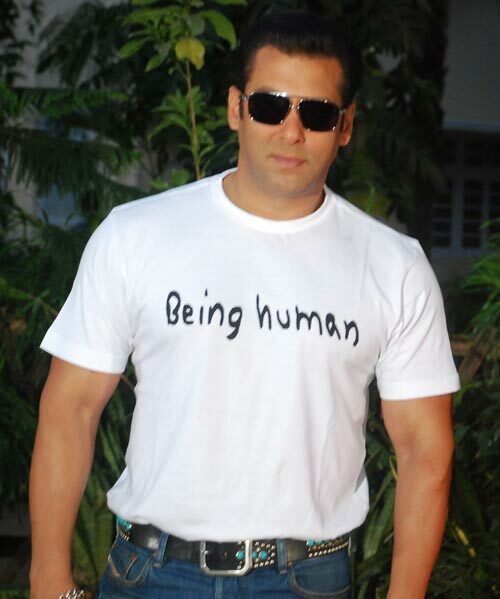 Being Human has been associated with Akshara since June 2012. The Akshara school, Mumbai, is a not-for-profit school. The school’s motto is to focus on social inclusion for educational and economic growth and to level inequalities ingrained due to gender, caste, economic and religious discrimination. To make education affordable and accessible, the fee structure at the school has been kept to a basic minimum. Being Human has been associated with Aseema since June 2011. Aseema is a Mumbai based not-for-profit organization that provides holistic and relevant education to Mumbai’s most neglected children – children living on the streets, or in slums and in inhuman conditions. In partnership with the Municipal Corporation of Greater Mumbai (MCGM), they have taken on three municipal schools where children receive high quality education. In January 2014, Being Human announced the Veer initiative together with The American India Foundation, Thums Up and CNN-IBN to bring the differently abled into the mainstream so the focus is on their abilities and not their disabilities. Salman Khan has also actively participated in the Swachh Bharat Abhiyan of Prime Minister Narendra Modi's Clean India initiative. Bollywood superstar Salman Khan feels stardom is ephemeral and he would rather focus his energies on taking his charitable work forward. “Stardom comes every three years and anyone can beat anyone in this. I think till the time fame is there work is there… till the time work is there money is there and till that time ‘Being Human’ is there. For this (Being Human) we are trying to get things right like CSR and etc. I want to take it to such a level that it becomes difficult for anyone to reach that success or reach the magnitude of a charitable trust ,” Salman said in an interview with Indian Express.